Our steaks sizzle, our wine wins awards, and our staff makes you feel right at home. 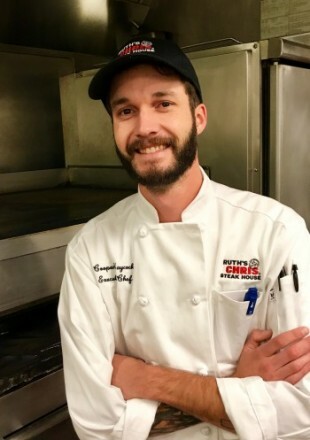 At Ruth’s Chris Steak House in Boise, the focus in Chef Cooper's kitchen is all about the sizzle—the way it sounds and the way it smells. It’s that impression our cuisine leaves on your senses that keeps you coming back. Our southern New Orleans roots are always top of mind. We have assembled the finest kitchen and service staff, a team who embodies true hospitality and passion for first class food. Our signature USDA prime steaks are simply seasoned with salt and pepper, ensuring we do not hide the full flavor of our aged meats. Seared to perfection at 1800 degrees in ovens designed by Miss Ruth, and served with a dab of butter on plates heated to 500 degrees, you have the Ruth’s Chris steak that is hot and flavorful until the last bite. It’s true our steaks have made us famous, but our selection of market fresh seafood, such as Parmesan-Herb Crusted Alaskan Halibut, will make for a difficult decision. Many of Ruth’s Chris guests walk through the door because they have a favorite menu item. At the same time, we like to keep our features interesting, so you always have something new to taste from our kitchen.